At JR-Tech, we know migrations. From server migrations to cloud migrations and data migrations, we offer many forms of migrations that will suit your business needs and help attain the technology performance necessary to meet your business objectives and goals. 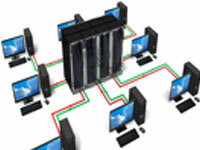 With JR-Tech we are with you every step of the way to ensure proper migration with very minimal or no downtime. Whether you want someone else to manage your full IT systems or want specific services to help increase IT productivity, JR-Tech is here to assist and administer the most advantageous services for your company and help reach your business IT goals. A company could be well established or just beginning, with JR-Tech we tailor solutions to your business needs and requirements. If you are starting a new company or wanting to increase your current IT productivity, JR-Tech has the best solution for you. With JR-Tech, we will not only help design and maintain a network infrastructure but we can help improve and increase efficiency in your network. Many businesses do not utilize their network to its fullest potential and JR-Tech is here to assist in creating the best solution for your business. What is “VoIP”? VoIP is “Voice over Internet Protocol” which converts the voice of a phone call into data and streams it over the internet to the location requested. 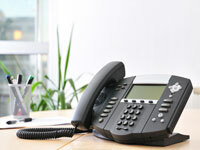 JR-Tech offers customizable VoIP solutions for businesses of all sizes. Video Surveillance is a necessary business practice in today’s society. Through a surveillance system one can monitor the safeguard of the business assets for thievery or vandalism. JR-Tech will customize a video surveillance system to the business needs and will ensure that it accomplishes the desired effect. 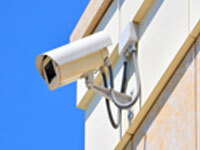 Whether you are a large or small business, video surveillance is extra added security for your business assets. When a company wants to monitor and improve business productivity, certain practices must be in place to accomplish these objectives. 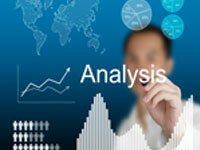 Whether the information is used for internal purposes or used for investor relations (i.e. key performance indicators), JR-Tech will customize a solution to help accomplish these practices. Regardless if it is to design and create a disaster recovery system or help move the company to a more mobile workforce, JR-Tech has experienced engineers to provide the best solution to fit your needs.